But can anyone do it? Making money in Forex trading sounds very easy if judged by the media advertisements. Just pick a Forex broker. Next, open a trading account. Finally, buy or sell a currency and start making money. The funny thing is that no one talks about losing money. 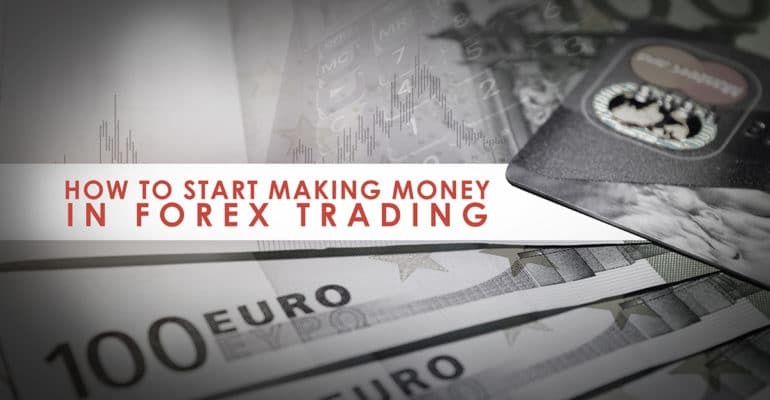 Everything is about making money in Forex trading as that’s the purpose of it. However, the reality tells the opposite. Most retail traders not only they do not make money. But they lose. A lot. Trading as a game of probabilities resembles gambling. Only, it is not. While people understand that the casino holds the winning cards, they still go and try their chances. What if? In Forex trading, things are somehow similar. The only difference is that traders find out the chances they had when first started trading only after losing the first deposit. It is only reasonable considering the small part of the retail traders’ volume in the overall Forex trading one. A little over five percent of comes from regular Joes. Or, traders that come with an average of a thousand dollars (or less) to make a million overnight. By overnight, you can say years, but the amounts are for real. Therefore, this article addresses those that lost their first deposit. And, they want to learn a few tips and tricks to help them making money in Forex trading. Or, to increase their chances. Also, traders that somehow survived a margin call so far may find this article appealing. After all, good advice stops a lousy decision. For some traders, making money is a profession. Succeeding or not, their job depends on it. For others, like retail traders, it starts like fun. Then, when the first profits came, the thought of doing it for a living begins growing. The next thing you know, making money becomes a burden. Bills come in a month in and month out. But profits don’t. Make no mistake, trading without losing isn’t possible. Instead, losing is part of the trading game. As losing trades exist, so does losing streaks. As losing days exist, so does losing months. And so on. Hence, successful practices for making money start from understanding the losing side of the business. For that, traders need to prepare in advance. The problem with trading a Forex account comes from the psychological aspect of it. With so many currency pairs, traders have a difficult time selecting the right setup. One can’t monitor them all. Plus, stiff competition led to Forex brokers adding more and more products. Suddenly, the new products became new markets in the eyes of a trader. Or, new opportunities. However, each market has its own particularities. And, factors to influence it. It all comes down to how the risk approach. And, to the reward compared with the risk. From the moment traders fund an account, they become money managers. They start being one, but they don’t know how to act like one. Or, if they do, they just forgot the rules established by themselves. What an irony! 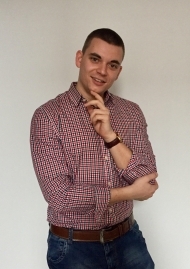 Together, they end up giving the recipe for making money in Forex trading. Coupled with a trading strategy and a proper reward, they offer a trading plan. A trader with a plan knows his/her chances. He/she knows the possible outcome. Moreover, how long it takes to make money. Consistent money. But without a trading plan, everything is in vain. While a trading plan mostly refers to a trading strategy, in this case, we need a money management plan. Or, how to allocate the resources in a trading account in such a way to benefit the most. It may sound as a complicated process, but the three steps mentioned above help eradicate most of the losing trades from a trading account. One of the coolest things in Forex trading is the ability to plan the money management strategy. And, to do that before trading. Take your time, over the weekend or when the markets are calm. Do your math, based on realistic expectations. And define the dollar risk value. This is how much s trader stands to lose if the trade hits the stop loss. A stop-loss is mandatory for any trading strategy. For this, traders relate to the Equity of a trading account. Not the Balance matters here, but the Equity. The Equity shows the true value of the account, at any given point in time. To the equity, traders apply a percentage. One or two percent of the Equity should do the trick. That’s the conservative or aggressive definition of disciplined Forex trading. Let’s be aggressive and assume two percent. Because the typical retail trader deposits less than 5k in a trading account, we’ll use a $3000 account for this example. Here’s the math: two percent out of $3000 makes $60/trade. Or, this is the dollar risk value of any given trade. It comes down to the trading strategy to define the number of pips risked. Either scalping, swing trading or investing, the method works for all types of Forex trading. The actual distance needed for a stop doesn’t matter. In the end, we’ll translate it in a trading volume corresponding to the same dollar risk value. Or, $60 as per our example. Hence, the scalper may need 30 pips, the swing trader 80, and the investor 190 pips. That is the pips for the stop loss. They all use different trading strategies, and the point here is to demonstrate that it doesn’t matter when defining the risk. With so many trading setups or strategies, even if you don’t master one, it won’t matter for the trading account. In the end, what matters is that the risk-reward ratio (mentioned later in this article) to allow for errors or losses. Every Forex techniques have the risk defined by the number of pips until the stop loss gets hit. Now it’s time to transform that number into the right volume to trade. As per our example, that’s $60 to risk per trade. How about the volume in the three cases? Feel free to calculate the volume for the swing trader and investor. Obviously, using the same formula. You’ll see that the higher the number of pips, the lower the volume. But then, no problem: the reward comes to complete the math. While the risk is the number one worry of a Forex trader, the reward is the second one. A proper risk-reward ratio always exceeds 1:2. Namely, for every pip risked, the reward is twice as much. Speaking in percentages, that’s 4% reward for the original 2% risk. Not bad, is it? So far, we defined the money management rules. They help traders survive in al market conditions. Moving forward, we need to define the Forex habits of successful traders. Or, the best practices to address not only the risk in a trade. But, the risk in a trading account. 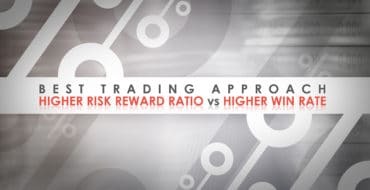 Few traders make a distinction between the risk per trade and the risk in a trading account. They both relate to money management and require the same level of attention. Only setting the risk for a trade as explained earlier, isn’t enough. Traders still get burned by following only that part of money management. The other part deals with integrating the risk per trade with the overall trading account risk. In Forex trading, this is still part of the overall money management system. When doing that, traders avoid significant drawdown. Next, they have more margin available for new trades. With more margin, comes bigger Equity stake. This, in turn, helps the proportional trading technique explained earlier. Finally, they all lead to a recipe for making money that works. That is, only if traders apply the rules accordingly. If anything can kill a trading account, correlations can do that. Financial markets are full of correlated products. Moreover, the correlation degree varies from market to market, and from one financial product to another. In any case, correlations exist within the Forex market, but also between currency pairs and other financial instruments. A correlation refers to at least two financial instruments moving in the same direction. In the case of Forex trading, that is at least two currency pairs having a correlated path. Understanding correlations is vital to comprehend what is Forex trading. Knowing they exist, helps traders find the right trades to take. Risking two percent per trade is OK. While a more aggressive approach than risking only one percent, they both are vulnerable to correlations. Think of a risk-on or risk-off environment. In Forex trading, they happen quite often. Only recently we experienced a risk-off moment: the Italians struggled to form a government. The populist parties threaten to throw Italy out of Eurozone. And markets listen. A risk-off event is a correlated one. USD gains against the Euro, GBP, AUD, or NZD, and loses against the safe-haven currencies: CHF and JPY. Because of that, most of the currency pairs move in the same direction. Hence, the risk of trading correlated markets rises significantly. More precisely, the risk of overtrading. Overtrading often refers to open multiple positions on the same currency pair. But in a case like risk-off or risk-on, overtrading reflects the inability of the trader to recognize what’s happening in the market. Therefore, he/she will open more trades. Instead, the focus should be on spotting the fact that the safe-haven currencies rise. If there is one trade to take in a risk-off or risk-on move, that is on the crosses. If major pairs move in the same direction, while the JPY and CHF rise the JPY and CHF crosses will travel the most. That’s were making money lies. That’s Forex trading at its best. But risk-off and risk-on environments don’t form that often. Moreover, traders don’t know how to identify such conditions with ease. Hence, the general rule of “sticking to what you know” applies here too. Within the Forex market, plenty of correlations exist. Mostly the USD, as the world’s reserve currency, will trend against the rest of the dashboard. For example, if the EURUSD rises one percent, it is hard to believe the AUDUSD remains flat. Or falls. Or, if it happens so, it has to do with some Australian news or monetary policy statement. Most of the times, the market follows the USD lead. It is no wonder, considering the USD makes up about eighty percent of the daily Forex trading turnover. But don’t confuse that with the DXY (Dollar Index), though. It has a particular calculation, and only some currencies are part of it, in different weights. Leaving the USD aside, which should be a known variable for the Forex trader, the focus shifts to other markets. Because brokers offer plenty of other markets (e.g., oil, gold, silver, stock indices, and so on). Because they typically exist on the same trading account, traders take their chances of trading them. While is nothing wrong with that, the markets differ. A lot. Moreover, the same trading strategy used in Forex trading ends up on commodity markets trading. Or, stock indices. When all traders know the markets do relate but aren’t similar, yet they’re tempted to do the opposite. All this talk about making money or a profit is useless unless discipline takes over. Discipline requires patience, as markets tend to range more than they trend. Hence, the trader’s patience will be tested most of the times. Sometimes, the market stretches you until the point of no return. When you give up, throwing the white towel, it’ll reverse. Hardly. Take this last week of May, the start of June 2018. The EURUSD was a total mess. Headlines in the financial community only pointed out how Euro is doomed because Italy will leave the Eurozone. Sensationalism at its best! The EURUSD suffered the most. That is, for two days only. As suddenly, like it happens in most of NFP weeks like this one, the EURUSD jumped back to the week’s opening levels. The point to make here is to respect the original trading plan. This is what happened with the EURUSD on a four days span. If your analysis points to any direction (long or short), and the stop loss isn’t reached yet, stick to it. This is the point of making a trading plan after all. Otherwise, all money management rules end up being useless if there’s no respect for them. But this is the most challenging part of Forex trading. Making money is not easy, although it is advertised so. Instead, making money in Forex trading requires a level of discipline few have in their day-to-day life. Moreover, staying disciplined avoids the devastating effects of greed and fear on a trading account. There’s no holy grail in trading. Everyone knows that. However, it doesn’t stop traders looking for one. It is like saying a couple of centuries ago that cars won’t exist. The will of people to strive for more is what drives progress. In Forex trading, this translates to more and more traders coming to the Forex market. The more the Internet penetrates our societies, the more traders come to the retail market. And that’s only for the best of it. More views, more opinions, new approaches. However, one thing remains constant. The market changes too. With more traders, more sophisticated trading strategies, or better computers, the inputs change. And, the market will change as a result too. Therefore, Forex trading resembles chasing Fata Morgana. It is never wise to insist on finding the holy grail, as inputs change regularly. To start making money in Forex trading, a trader must start with what he/her can bring to the trading table. No more, no less. If trading is a hobby for you, the market will treat you as such. If passion leads you to trading, you’ll start learning first, and trade later. Even so, you’re prone to make mistakes, as Forex trading traps even the best characters. Doing your homework as explained in this article, increases the chances of making it in Forex trading. Rest is up to each trader!